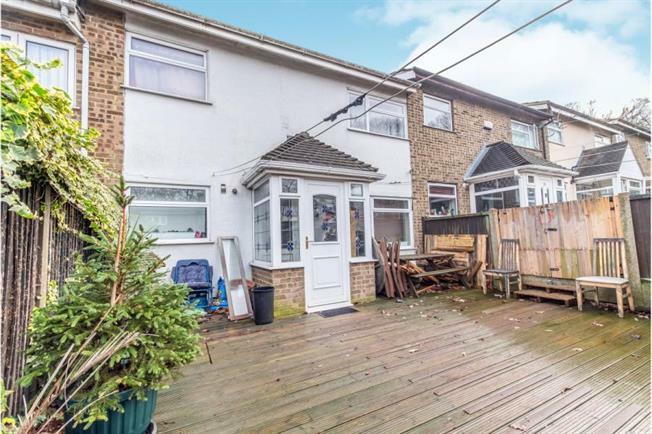 3 Bedroom Terraced House For Sale in Chatham for £210,000. MUST VIEW NOW!! MANN COUNTRYWIDE are proud to presents this excellent three bedroom terrace house to market in the ever so popular Lord wood area. Ground floor comprises with a separate WC, good size Lounge/Diner area, a perfect space for entertaining guest and a nice size kitchen. On the First Floor, 3 generous size Bedrooms, and Modern Fitted Bathroom. Further more benefits there a driveway. The property is positioned in a Popular Location, within Walking Distance to Local Schools & Amenities. Overall property is good condition and is ready to move in.